KETTERING BACKPACK PROGRAM RECEIVES $18,000.00 FROM KETTERING MAYOR'S BALL COMMITTEE! 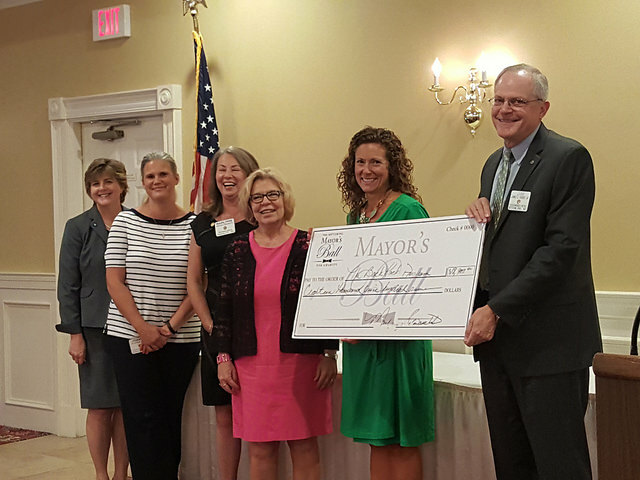 The Mayor's Ball Committee had the honor of presenting a check for $18,000.00 to the Kettering Backpack Program. Last night, Jim Ghory presented the check along with Mayor Don Patterson at the City Council session. Today the 'official' Club Presentation. Congratulations to the entire committee for a job well done. 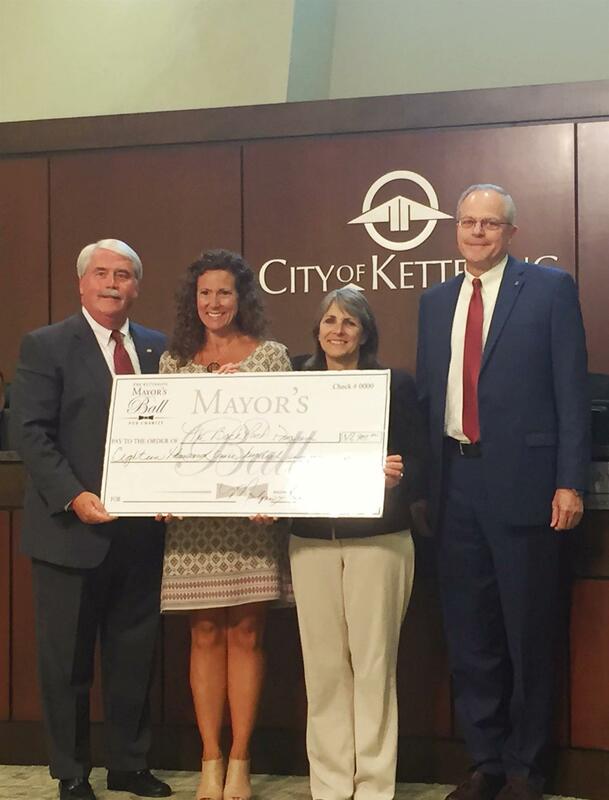 Last night KRC President Jim Ghory & Mayor Don Patterson presented the check during the City Council Session. Today Bonnie Pittl & Molly McGinnis accepted 'the check' from our Mayor's Ball Committee.